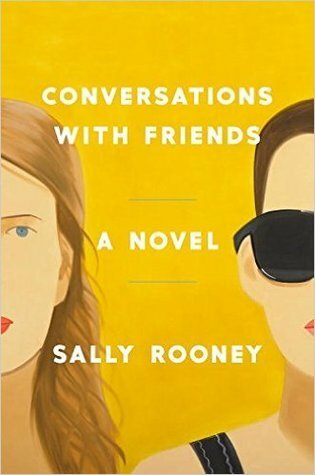 I would like to thank First to Read and Hogarth/ Random House LLC for the ARC of “Conversations with Friends” by Sally Rooney for my honest review. The genres for this novel are Contemporary Fiction and Women’s Fiction. I would rate this book as 3.5. I appreciate that Sally Rooney brings some controversial topics in this novel The author discusses betrayal in friendship, monogamy and infidelity, relationships,sexuality, and political views, There is also the discussion of mental illness, depression, alcoholism, and cutting. The characters are complex, complicated, and flawed. Most are not likeable. There is betrayal and secrets. There is also lack of communication, lack of self-esteem and self-worth. I found it difficult to relate to any of the characters. The story-line is about two college students, who get involved with a married couple. One is a writer. Both are friends, former lovers, and read poetry together at gatherings. At time the story is slow-moving. I was surprised at the ending, and possibly disappointed. I would recommend this novel as a controversial read. Next postThank you! @Leah DeCesare for winning the Graduation giveaway!So Excited! You Can’t Win If You Don’t Enter!